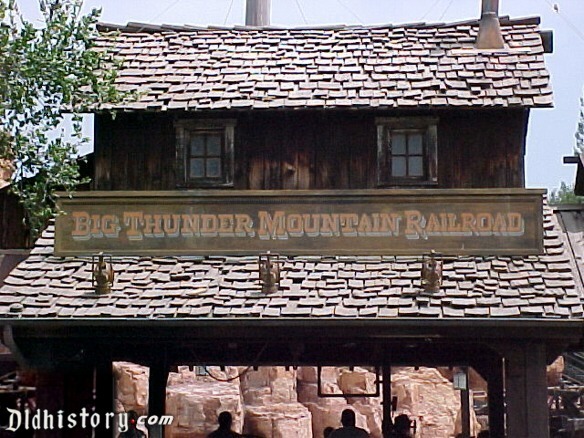 Big Thunder Mountain Railroad: A gold-mine-themed runaway train ride, it has nothing to do with Disney characters, except you'll yelp as high-pitched as Minnie Mouse through its twists and turns. And yet it wasn't too much for our 6-year-old. Space Mountain: Of course! The famed inner-space thrill ride hasn't lost its starry luster, even though it broke down on regular occasion the day we were there. Getting a FastPass is a stellar idea for this one. Star Tours: The Adventure Continues: One of the new "Star Wars" attractions, the 3-D motion simulator rocks, tilts and jolts as you head to a galaxy far, far away. It's way more fun than that sounds. Peter Pan's Flight: Our favorite of the original 1955-era rides truly never gets old. Enchanted Tiki Room: OK, not really a ride, this campy animatronic Hawaiian bird show was still a highlight, especially with Dole pineapple ice cream in hand and such immortal one-liners as, "Two toucans can do better than one toucan can!" Indiana Jones Adventure: My 10-year-old liked this imaginary jeep ride in search of archaeological treasures, but I wanted to search for a chiropractor afterward. It was physically jarring without any real spine-tingling thrills. Mr. Toad's Wild Ride: Unless you want to talk to your kids about whether hell exists and the dangers of psychedelic drugs, it's easy to see why they removed this weirdly deranged and dated ride from Florida's Disney World. Star Wars: Path of the Jedi: If you've never seen a "Star Wars" movie and are wondering what the hype is all about, this highlight reel theater experience is for you. For the 98 percent rest of the planet, don't bother. Any live show besides "Fantasmic": We fought our way into a "Tangled" performance only to find that our daughters wanted to leave after about three minutes. It's hard for thespians to compete with thrill rides. Gift shops before closing time: The stores on Main Street all stay open an hour after the rides shut down, so tell the kids they'll get a reward at the end of the day - to save time for rides, and maybe money, too. Ours were too tired by then to want anything too extravagant.